Expedia's Bordeaux holiday packages help you save money! Combining your bookings will give you more cash to splash for your incredible adventure. Crafty travellers can save up to 15%* by getting a package deal on Expedia. With more than 400 airline partners and 321,000 worldwide properties, our global database can help make your dream holiday come true. You can alter your travel plans with us because we do not charge cancellation fees for almost all of our reservations. It can be quite pleasant to just stroll around the streets in a new place, but sometimes it's a wise move to form a plan. Grab your schedule — we have some awesome ideas for your upcoming Bordeaux holiday. Of course, if you're visiting Bordeaux, you probably know of the Aquitaine Museum. This remarkable attraction just can't be missed! There's no need to worry about feeling bored in this enticing city. The Contemporary Art Museum and the Chateau Haut Brion will keep you entertained. Place de la Bourse and Place des Quinconces are also some fantastic attractions that'll capture your imagination. Find out when the services are held at Cathedrale St. Andre. While you're there, take a moment to sit at one of the pews and concentrate on a quiet prayer. Travellers in this destination have an abundance of choice. Nothing compares to admiring top-level art when your soul needs to be nourished. As you stare at the wondrous pieces at Musee des Beaux-Arts, see if you can pinpoint the deeper meaning. Still have time on your hands? Fine wine aficionados shouldn't miss the opportunity to indulge in some original blends and charming hospitality at Maison du Vin de Bordeaux. It's no secret that you don't take time off work just to sit in a small seat on a plane and sleep in a different bed. Travelling is all about the exciting adventures you have while you're away! Head to our Bordeaux things to do page for a full list of activities. You can expect a huge variety of accommodations when you travel to Bordeaux. With no less than 137 properties on offer, it won't be a problem securing a comfortable place for your next cheap holiday or luxury getaway. Bordeaux's higher-end choices such as the Intercontinental Bordeaux Le Grand Hotel (2-5 Place De La Comédie) and the La Grande Maison de Bernard Magrez (10 rue Labottière) are sure to satisfy the most discerning traveller. If your holiday money box isn't as heavy as you imagined it would be, the Château Pape Clément - Bernard Magrez Luxury Wine Experience (216, avenue du Docteur Nancel) and the Le Clos d'Emile (3 Bis Rue Emile Zola) are some low-cost options. No trip to Bordeaux is complete without stopping off at the Aquitaine Museum. The Le Boutique Hotel and the Yndo Hotel are both fantastic options. The airport is rarely the most exhilarating moment of your adventure, but there's nothing like the thrilling feeling of knowing that your well-deserved trip to Bordeaux is just a flight away! Once you touchdown at Merignac Airport (BOD), you'll be 6 miles (10 km) from the heart of town. If you love to shop, this French street has great appeal. People watch as you have a drink or meal. The street seems to have a life of its own. Bordeaux’s city hall is housed in a spectacular palace, which features ornate interiors, elegant gardens and an art gallery stocked with masterpieces. Note how the interior contrasts with the intricate, delicate carvings that cover the façade of this religious Baroque-style landmark. Explore this photogenic riverside square, which is bordered by two grand neoclassical palaces and features a spectacular fountain at its center. It looks as if you’re walking on water. Take your camera for countless photo opportunities at this creative and magnificent man-made spectacle. This graceful arch bridge crosses the Garonne River, linking the historic center of the town with the more modern right bank. The biggest square in France, this plaza hosts festivals, concerts and markets and features monuments dedicated to famous writers. Stroll around the lawns of this public park and enjoy the tranquil environment. Then explore its cultural and culinary attractions. Marvel at panoramic views of the city and reflect in the peaceful nave at this iconic religious building, the seat of the Archdiocese of Bordeaux. Follow the story of Bordeaux and the surrounding region at this museum, where exhibits span from prehistory through to the present day. A gateway to the rest of the city, this bustling square in Bordeaux's student quarter is home to classical monuments and stylish restaurants. Be a scientist for the day at this fascinating museum, which aims to educate and entertain visitors with its annually changing exhibitions. A freestanding bell tower with a ghoulish history is what draws most people to this landmark, but the large Gothic church here is equally impressive. One of the oldest belfries in France, this tower was a traditional gateway to the city and once functioned as a prison. Members of a key political group in the French Revolution are commemorated by this spectacular pillar and statue, which towers over a dramatic bronze fountain. Europe’s ancient walls around communities are commonplace, but the remains of this one look almost new. Sit and admire this storybook-like structure. As with many stately buildings that dominate their space, this one has a superb presence. Tour this magnificent building and enjoy one of its performances. 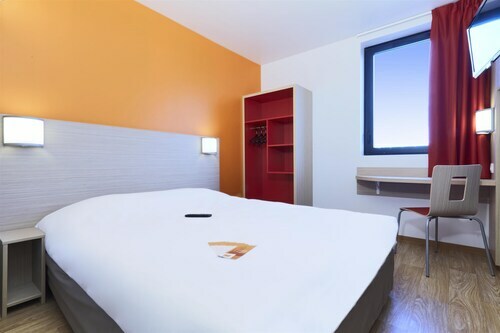 Situated in Pessac, this hotel is within 2 miles (3 km) of Hospital Haut-Leveque, Pessac Swimming Stadium and Michel de Montaigne Bordeaux 3 University. Bordeaux Unitec and Chateau Pape Clement are also within 2 miles (3 km). Pessac Alouette Station is 24 minutes by foot and Saige Tram Stop is 26 minutes. Located in Bordeaux Historic Center, this hotel is within a 10-minute walk of Palais de Justice and Rue Sainte-Catherine. Place de la Victoire and Grand Theater Opera National of Bordeaux are also within 1 mile (2 km). Palais de Justice Tram Station is only a 2-minute walk and Hotel de Police Tram Station is 6 minutes. 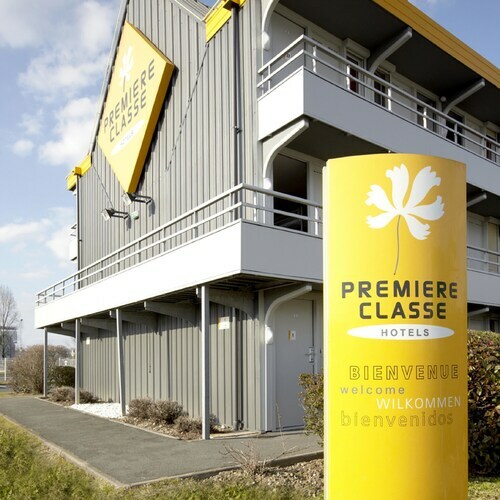 Situated near the airport, this hotel is 1.6 mi (2.6 km) from Golf Practice Academy and within 6 miles (10 km) of Grand Theater Opera National of Bordeaux and Rue Sainte-Catherine. Place de la Bourse and Circuit Bordeaux Merignac are also within 6 miles (10 km). Located in Chartrons, this residence is within 2 mi (3 km) of Bordeaux Wine and Trade Museum, Contemporary Art Museum and Place des Quinconces. The City of Wine and Maison du Vin de Bordeaux are also within 2 mi (3 km). Place Ravezies - Le Bouscat Tram Station is 6 minutes by foot and Grand Parc Tram Station is 8 minutes. Located in Bordeaux Historic Center, this romantic hotel is within a 15-minute walk of St. Seurin Basilica, Rue Sainte-Catherine and Grand Theater Opera National of Bordeaux. Place de la Bourse and Place de la Victoire are also within 1 mile (2 km). Meriadeck Tram Station and Saint Bruno - Hotel de Region Tram Station are within a 5-minute walk. 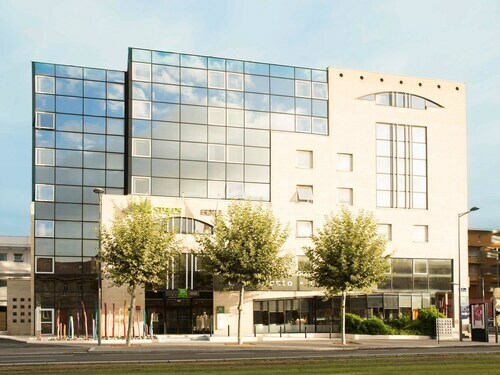 Located in Quartier du Lac, this hotel is within a 15-minute walk of Barriere Casino Theatre, Bordeaux Congress Center and Bordeaux Exhibition Center. Matmut Atlantique Stadium and Bordeaux Stadium are also within 1 mile (2 km). Claveau Tram Station is 27 minutes by foot. 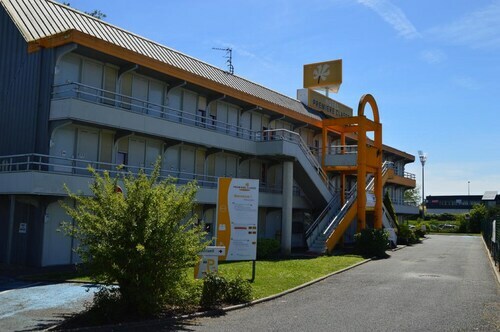 Situated in Villenave-d'Ornon, this hotel is within a 15-minute walk of Chateau Thouars and Swimming Stadium Henri Deschamps. Universite Bordeaux III and Universite Bordeaux I are also within 2 miles (3 km). Located in Saint Augustin, this hotel is within 1 mile (2 km) of Patinoire Meriadeck, Rue Sainte-Catherine and Place de la Victoire. Grand Theater Opera National of Bordeaux and Place de la Bourse are also within 2 miles (3 km). Gaviniès Tram Stop and Hotel de Police Tram Station are within a 5-minute walk.